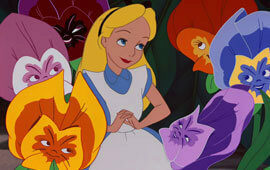 When it comes to picking your fave Disney film, there’s so much choice it’s hard to decide. But Beauty And The Beast, with its amazing animation, sensational soundtrack and tale that’s really “as old as time,” is definitely one of our Top 5! 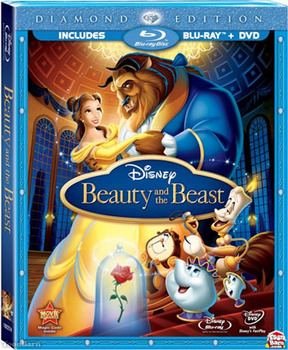 In Disney’s Beauty And The Beast - the only animated feature film to ever win a Best Picture Oscar nomination - Belle, a bookworm, has to save her dad when he accidentally offends the Beast – a prince whose heart is too hard to love anyone but himself. In order to get her dear papa out of hot water, Belle offers to stay with the Beast in return for her father’s freedom. While she’s a prisoner within the Beast’s castle, she makes friends with his strange staff of assorted talking furnishings and kitchen utensils, including a candlestick named Lumiere, a clock called Cogsworth and a tea kettle named Mrs. Potts (plus her sun, Chip the teacup). But as Belle discovers the softer side of the Beast, she also finds out about the terrible curse cast over him and his entire household – a curse only true love can undo. Le sigh … what an amazing love story!!! Did the Beast frighten you as a little kid? Let us know by leaving a comment below!